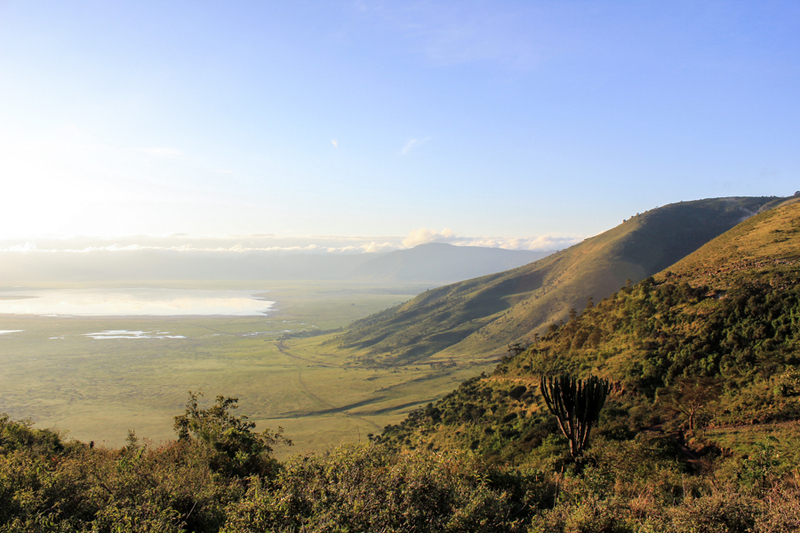 Simba Camp is a campground situated on the south-western rim of Ngorongoro Crater in Tanzania. 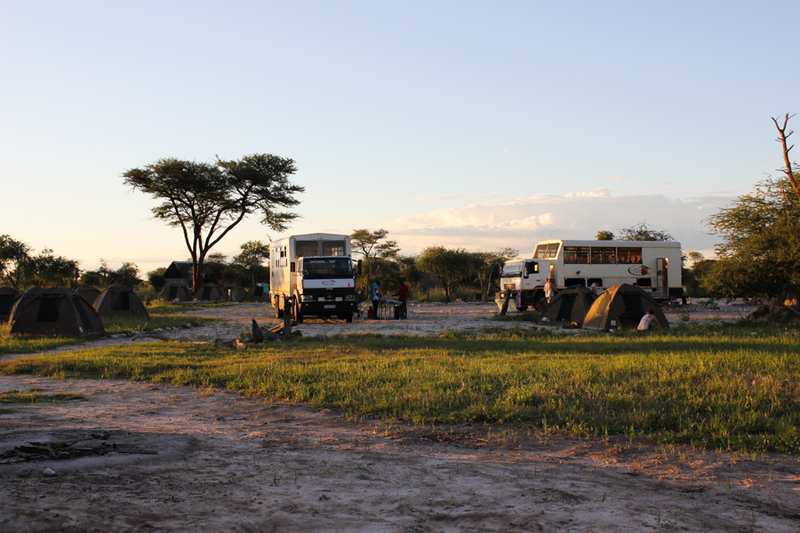 We stayed at the campsite during our three-month trip through Africa, which started in Cape Town, South Africa and ended in Nairobi, Kenya. 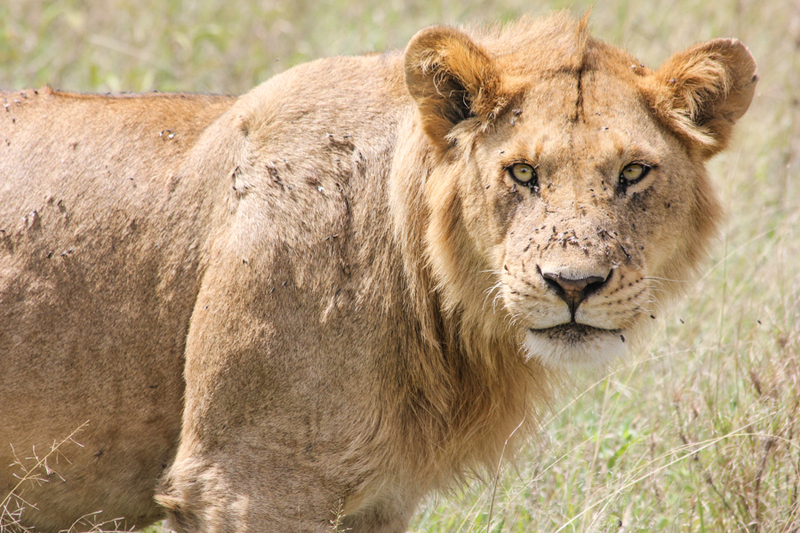 Our stay at the Simba Camp was part of a three-day safari through the Serengeti and Ngorongoro Crater. 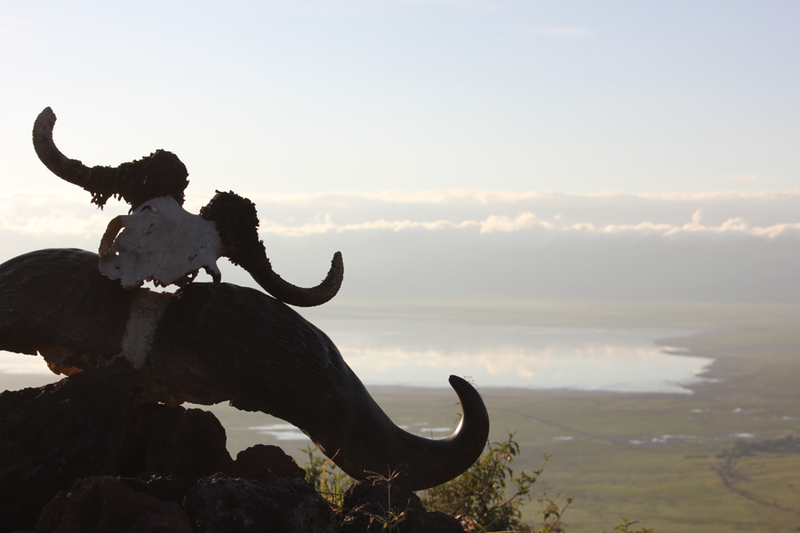 The night spent on the crater’s rim is memorable thanks to panoramic views of the crater below, deep conversation with fellow campers around the fire pit and a late-night visit from a herd of elephants. 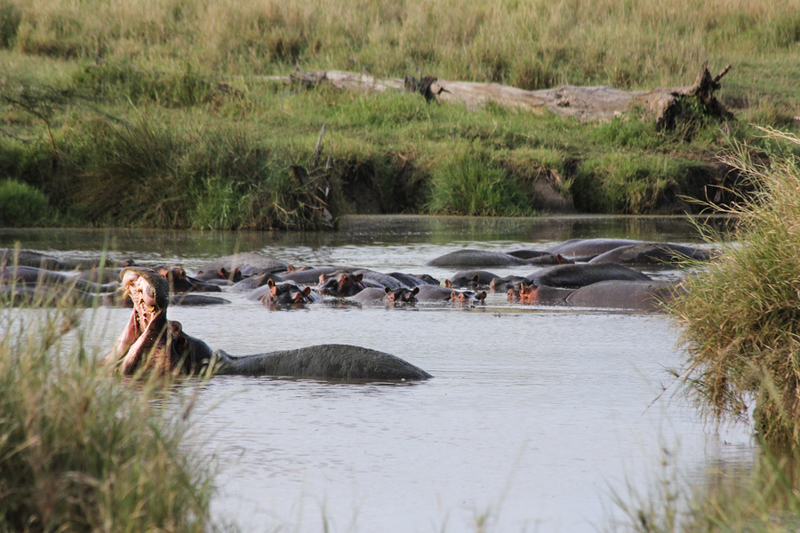 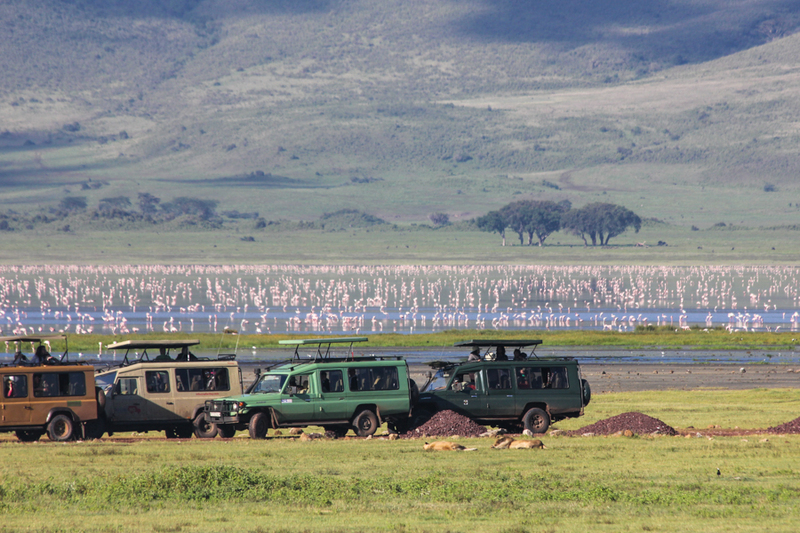 Simba Camp is a public campground operated by the Tanzanian government. 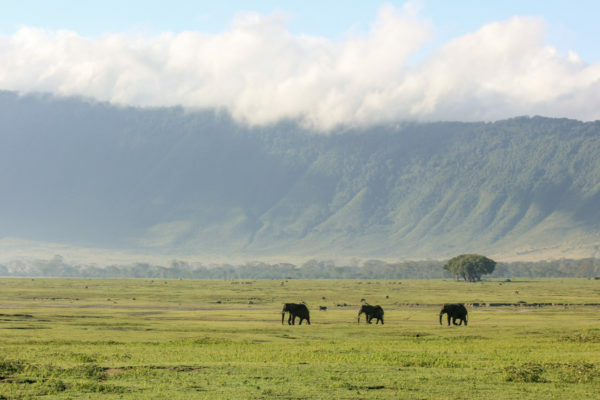 It is the perfect place for those traveling on a budget to spend the night before heading down into the crater for a full or half-day safari drive. 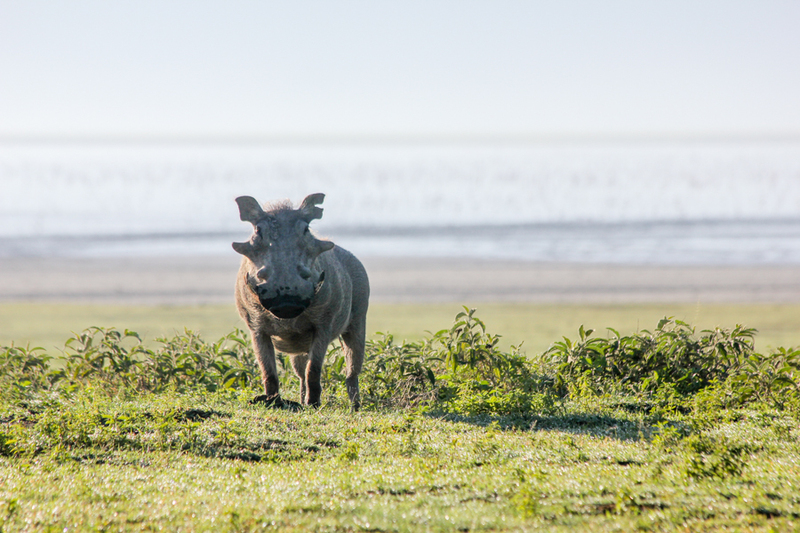 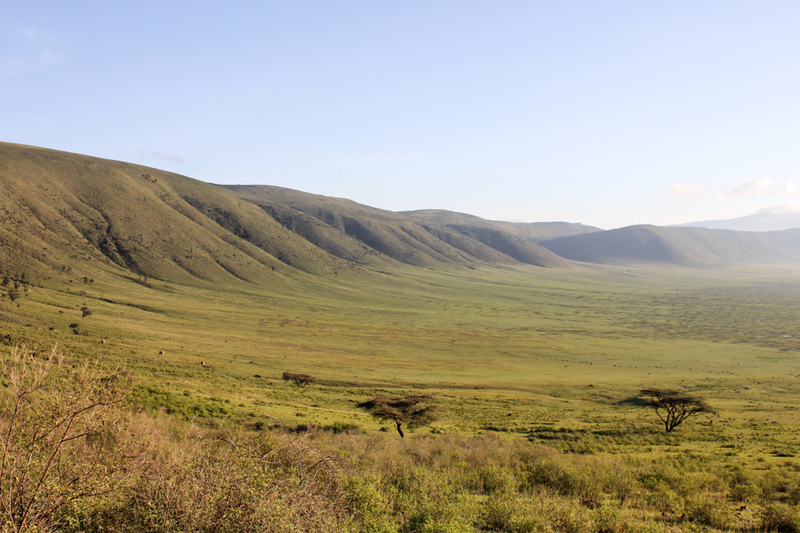 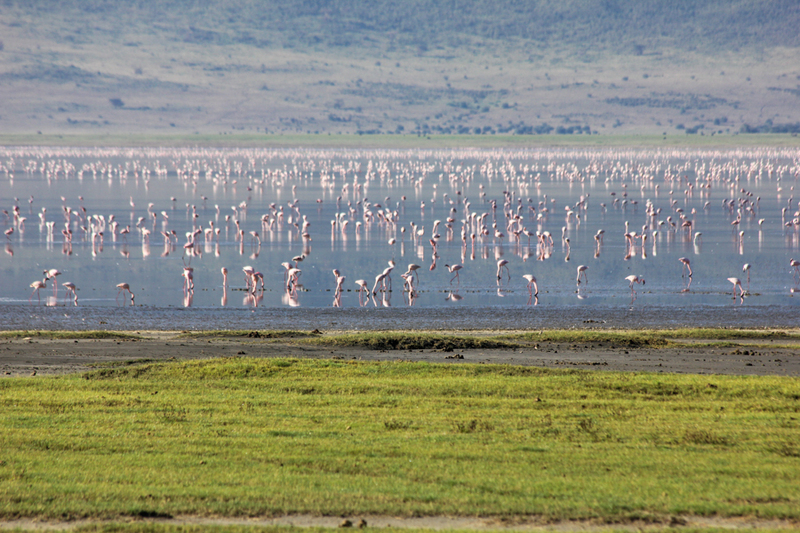 The campground is located about 2 km from the crater village and consists of an open grassy field with scattered trees and wide-open views of the interior of Ngorongoro Crater. 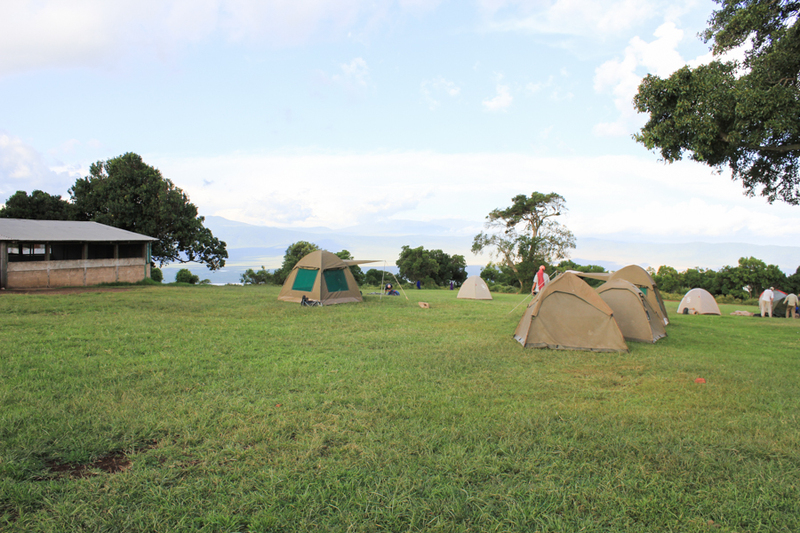 The camp has well maintained toilets, hot water showers and covered shelters that can serve as indoor dining halls. 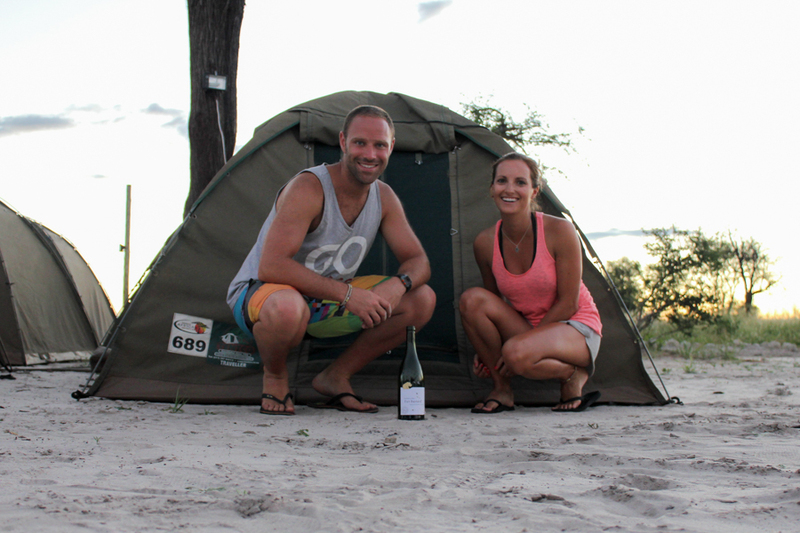 There is a communal fire pit and fire wood is available for purchase on-site. 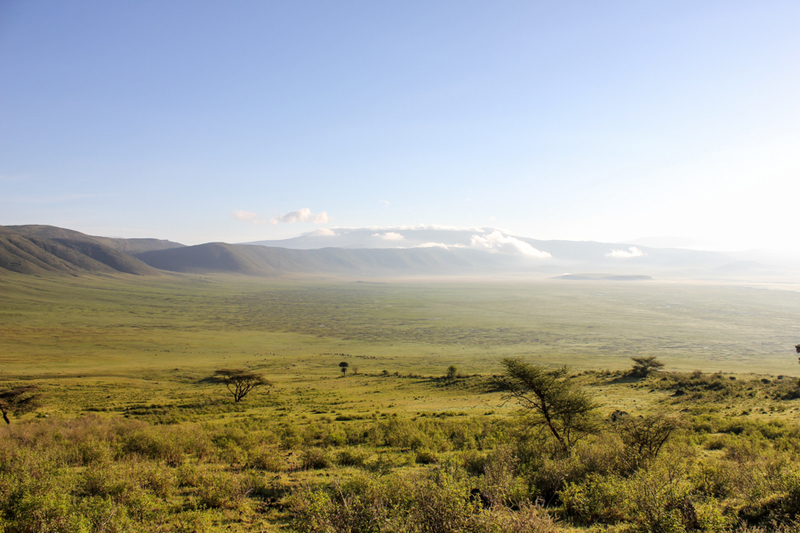 Wild animals from the crater and Serengeti frequently visit the campsite which is not fenced, so guests should move about with caution, especially at night. 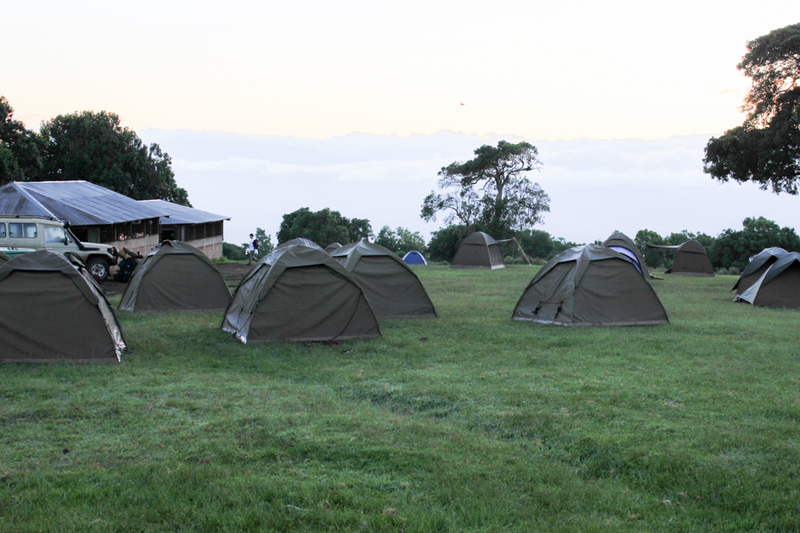 Simba Camp does not provide tents, so accommodation type varies based on the equipment brought into the camp by guests. 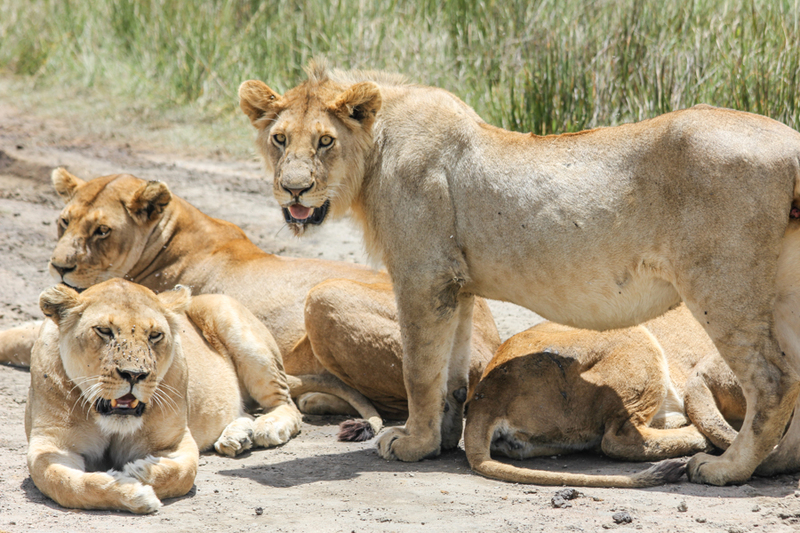 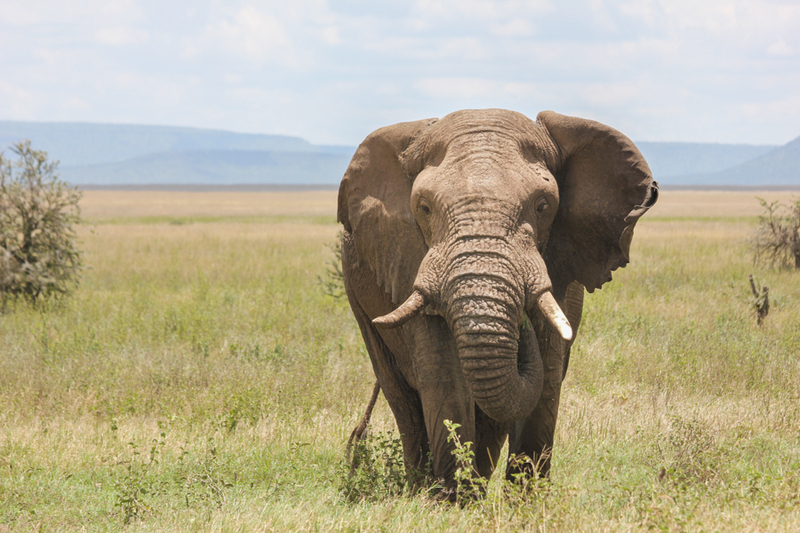 Most travelers use dome tents with a heavy-duty groundsheet while on a safari. 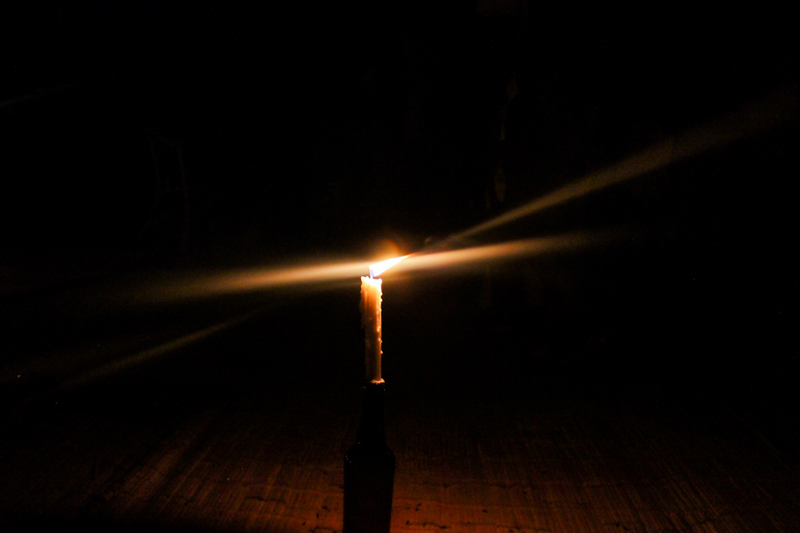 The temperature can drop significantly at night, especially during the winter, so a thick sleeping bag and warm clothing is recommended. 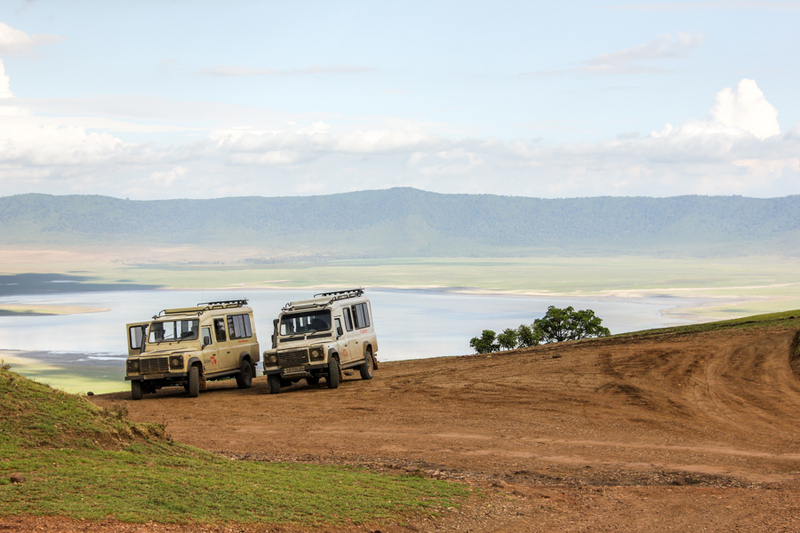 Simba Camp is located on the south-western rim of Ngorongoro Crater about 2 km from the crater village.